About 320 kilometres of levees were compromised — either breached or overtopped — in four states, the U.S. Army Corps of Engineers said. 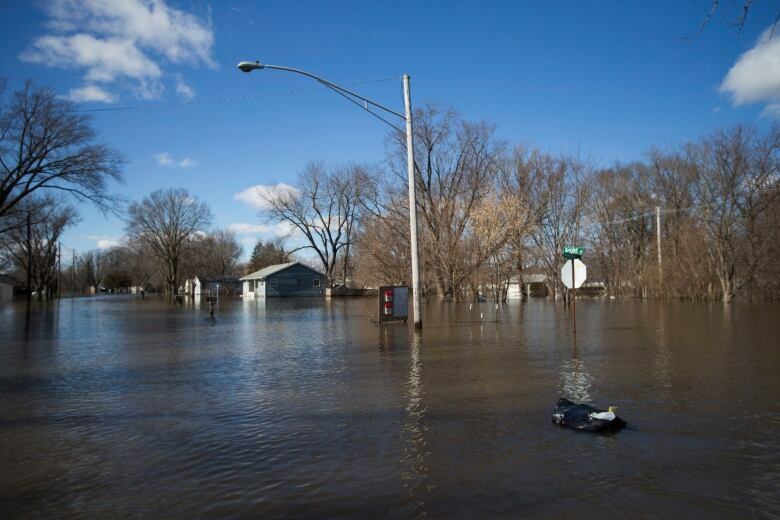 Even in places where the water level peaked in those states — Nebraska, Iowa, Missouri and Kansas — the current was fast and the water so high that damage continued to pile up. He said many homes in a mostly rural area of Holt County were inundated with 1.8 to 2.1 metres of water from the swollen Missouri River. He noted that local farmers are only a month away from planting corn and soybeans. 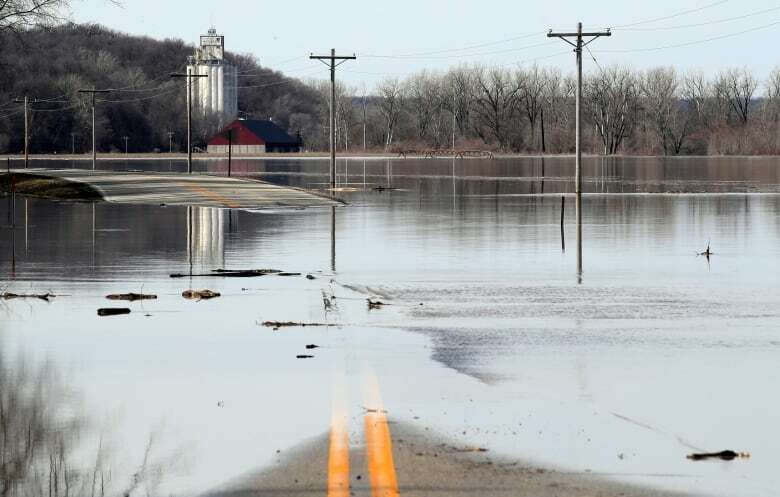 In Atchison County, Mo., about 130 people were urged to leave their homes as water levels rose and strained levees, three of which had already been overtopped by water. Missouri State Highway Patrol crews were on standby to rescue anyone who insisted on staying despite the danger. The Missouri River already crested upstream of Omaha though hundreds of people remained out of their homes and water continued to pour through busted levees. Flooding was so bad around Fremont, Neb., that just one lane of U.S. 30 was uncovered outside the city of 26,000. State law enforcement limited traffic on that road to pre-approved trucks carrying gas, food, water and other essential supplies. In southwest Iowa, the Missouri River reached a level in Fremont County that was 0.6 metre above a record set in 2011. The county's emergency management director, Mike Crecelius, said Monday that more water was flooding into low-lying parts of Hamburg, where a wall of sand-filled barriers was breached when one failed. U.S. President Donald Trump tweeted Monday that he is staying in close contact with Iowa Gov. Kim Reynolds and South Dakota Gov. Kristi Noem about the flooding. Trump asked Vice President Mike Pence to go survey the flood damage in Nebraska Tuesday, White House Press Secretary Sarah Sanders said in the tweet . She did not say where in Nebraska Pence would go.